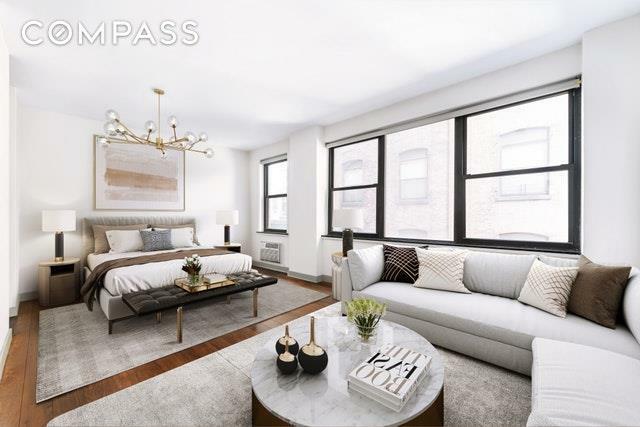 This immaculate Greenwich Village apartment located on a tree-lined street has been completely gut renovated and customized. Currently configured as an alcove studio, the apartment can easily be converted to a junior one bedroom. Upon entering through the lovely foyer, there is ample closet space and even a seating area to slip off your shoes. Sunlight bounces off the meticulous wide plank oak floors, showcasing the apartments elegant design. The efficient layout lends itself to open living and dining areas, coming together to create a cozy and inviting atmosphere. A large custom white oak entertainment center divides the room, creating a private sleeping area with a matching built-in bed frame.The sleek separate kitchen is finished with Corian countertops and sink, a Liebherr refrigerator, Fisher & Paykel range, Miele dishwasher, and white oak cabinetry. 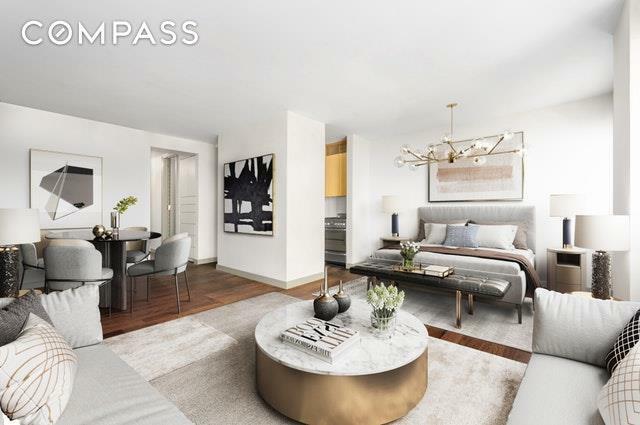 The glamorous bathroom is outfitted with honed marble penny round mosaic floors, ceramic wall tiles, a stand-up shower, and connects to an enormous dressing room.49 West 12th Street is located on a picturesque block just off Lower Fifth Avenue. 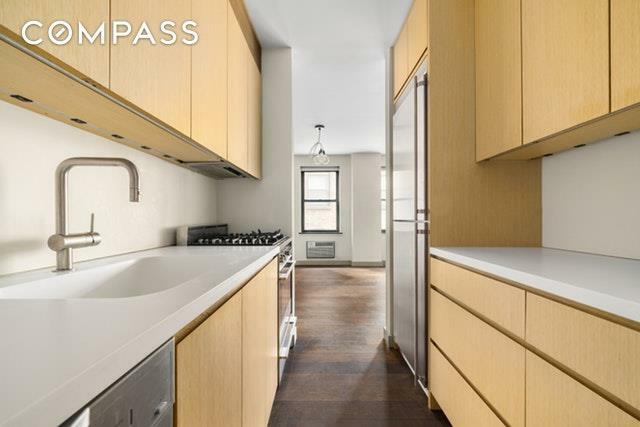 This well-maintained elevator co-op offers a full-time doorman, live-in super, landscaped roof deck, bike room, private storage, and laundry room. On the cusp of Greenwich Village and West Village, the building is just several blocks north of Washington Square Park and surrounded by world-famous restaurants, historic architecture, and multiple subway lines in all directions. Please call or email today to set up a private showing. 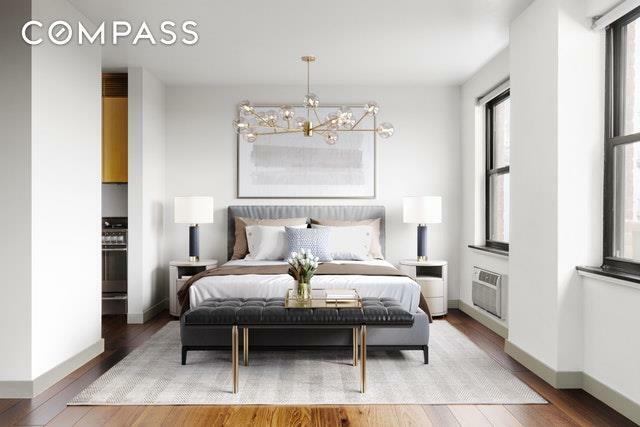 Listing courtesy of Clea Kornel of Compass.